This is a great recipe for this time of year. I've been finding peaches on sale for 49 cents a pound! This recipe is a big hit with my family. My husband's family is from the South and they said it's the best they've tasted. 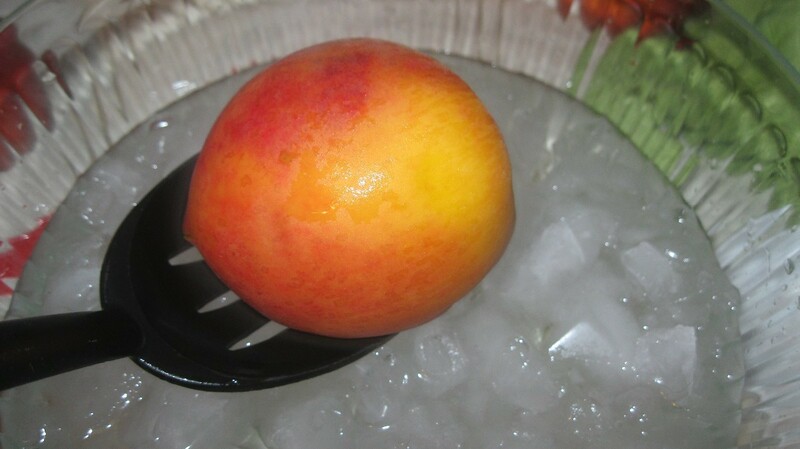 Once you get the peaches peeled and sliced, the rest is pretty easy. Total Time: About 30 minutes, plus 50 minutes baking time. Source: I saw Katie Lee make this on "The Kitchen". Preheat oven to 350 degrees F. Grease a 9 x 9 inch pan with cooking spray or butter. 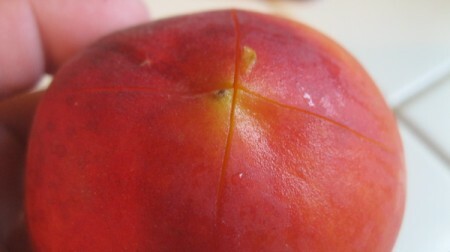 To easily peel peaches; score the peach with a knife by making a small "X" in the bottom. Next put the peaches in boiling water one at a time for 30 seconds. 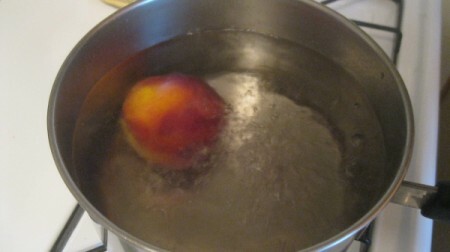 Remove from boiling water with a slotted spoon. 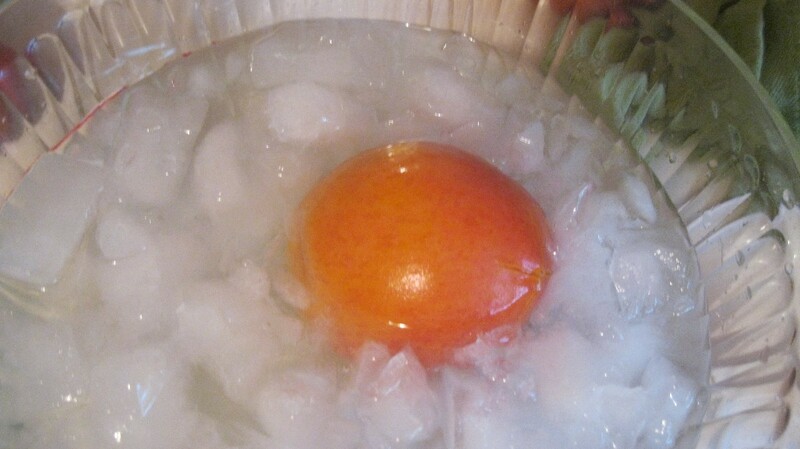 Give it an ice bath in a bowl of ice and water. 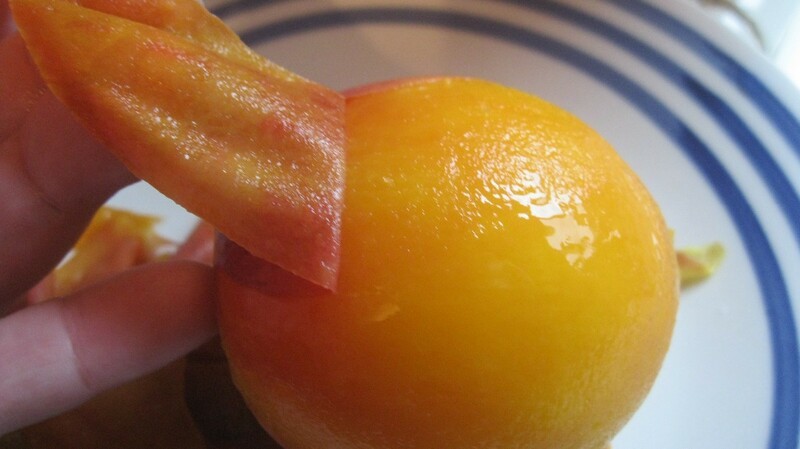 Once cooled, take the peach out and peel. The peel should come off easily. If it doesn't, put it back in the boiling water for about 15 seconds. 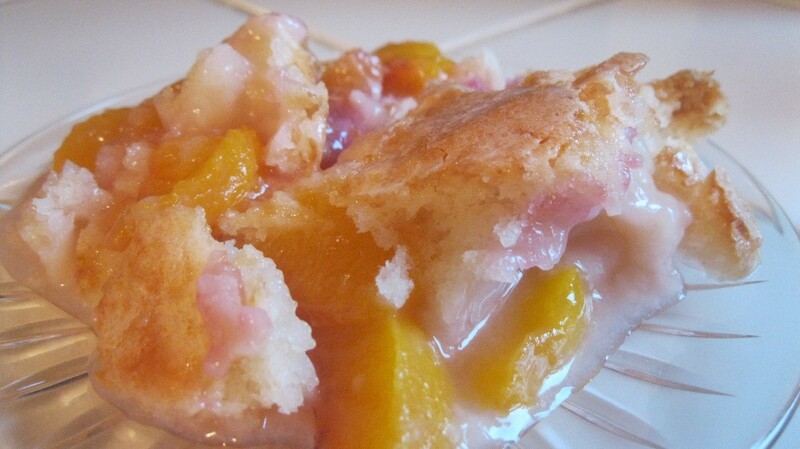 Slice peaches, and place in greased pan in an even layer. 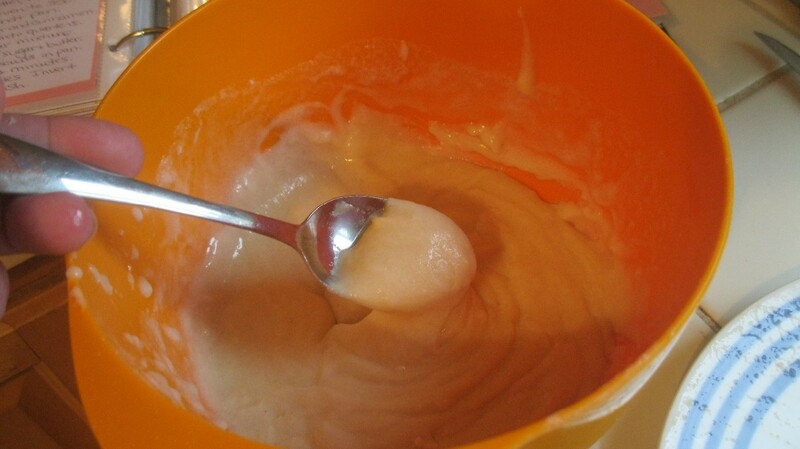 In large bowl, add flour, sugar, baking powder, and salt. Add milk and butter and stir well. 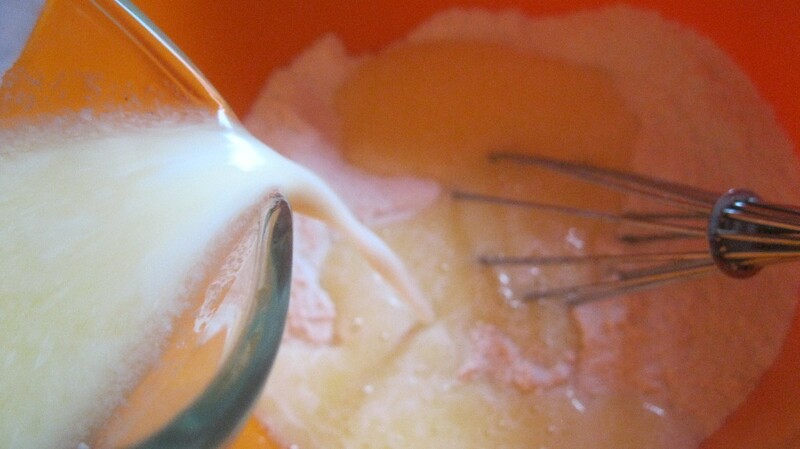 Spread mixture over the peaches. 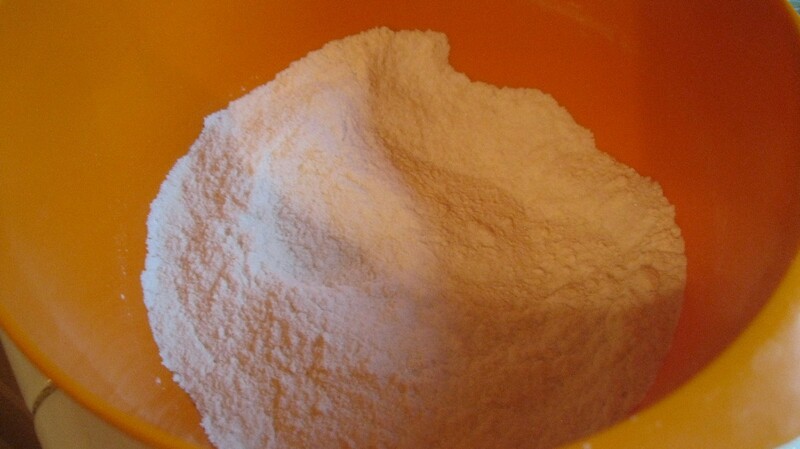 In separate bowl, mix 1/4 cup sugar, cornstarch and 1/2 tsp salt. 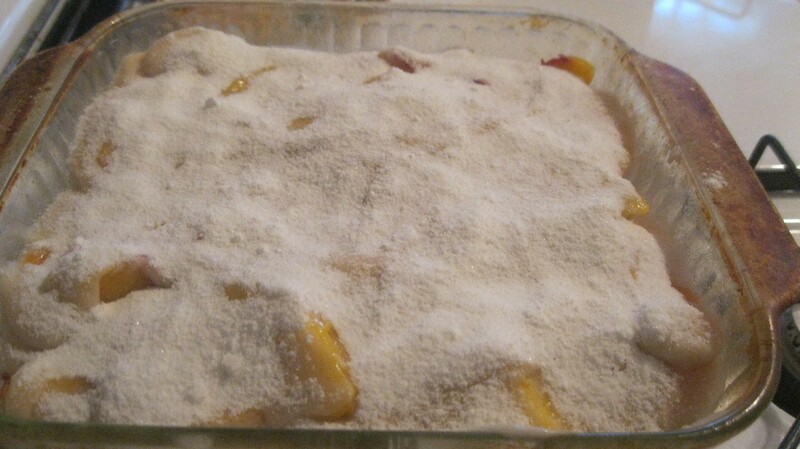 Sprinkle evenly over the peach cobbler. Boil 1/2 cup of water. 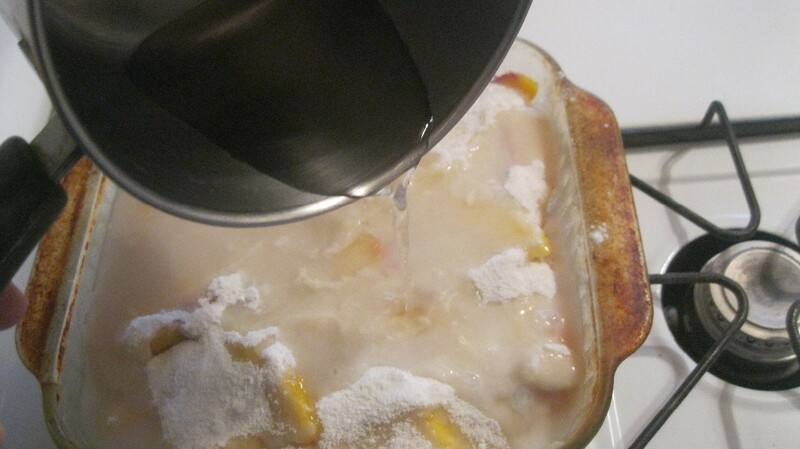 Carefully pour over cobbler, covering all of the dough. Bake until golden brown and bubbling, about 50 minutes. Serve warm or at room temperature. This is really good with a small scoop of ice cream on top. 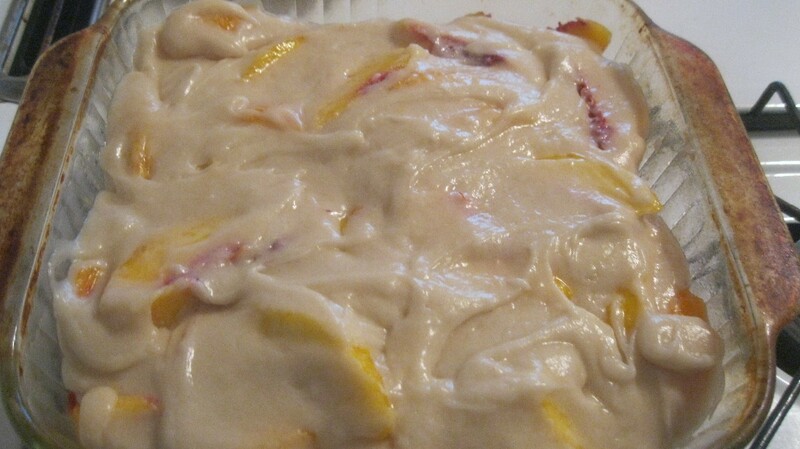 Unfortunately, peaches are expensive here in NYC but this looks so delicious and easy that I'll bite the bullet and make it tomorrow. One question though. 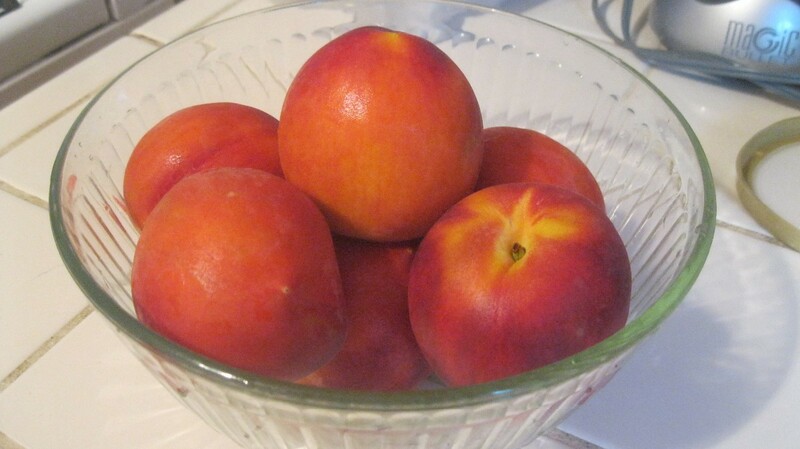 The fruits in your photo looks like nectarines. They're not fuzzy and pale like the peaches I see here. Are they in fact nectarines? Since nectarines are often cheaper, I may use them instead. I bet one could use canned peaches. They go on sale. It might not taste as fresh but still be delicious. Hi bryguy. 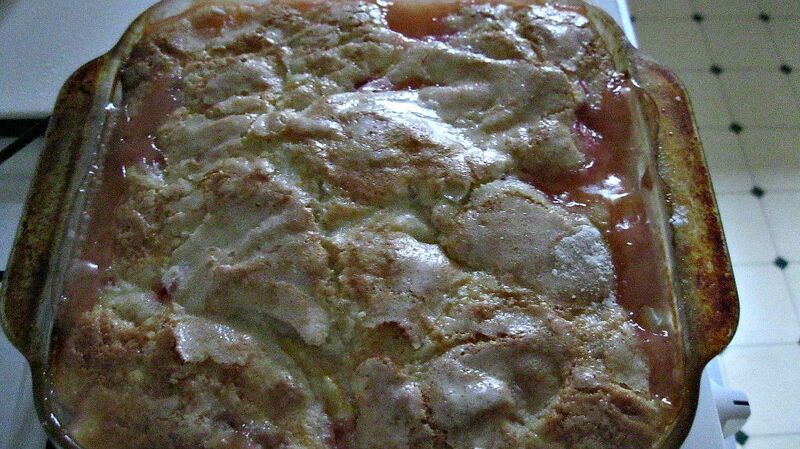 Yes, those were peaches I used. They were wet when I cut the slit in them, reducing their fuzzy appearance! 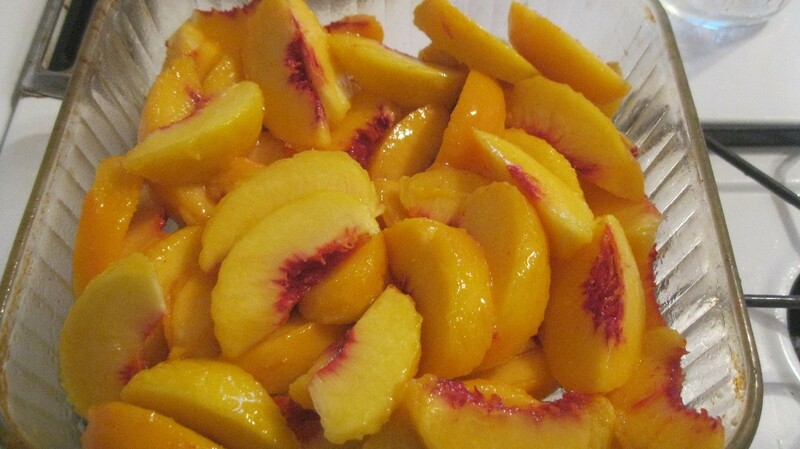 You could definitely try nectarines. I hope it works out for you. I've tried using canned peaches before. There was just no flavor to it and I couldn't get my husband to eat it.